For some reason, I struggle with formal prayers. I believe I do pretty good at praying always in my heart, but to actually kneel down next to my bed, keep my eyes closed, and pray with words from my heart is harder for me. It’s not that I don’t believe anyone is listening, it’s just that I am lazy. Today I had a profound lesson taught to me. Our Bishop came in to visit with the children at church. I happened to be there as a Primary teacher and got to hear his very short message. “Would you kids ignore your dad? Would you ever just quit talking to him? ….Like you live in the same house, and pass each other in the hall all the time, eat together, sit on the same couch, but you just never say a word?” The children all answered with resounding, “No ways!” I sat in shame realizing that this is exactly what I do to my God every night before I go to bed. I know I should check in, I just don’t. As I listened to the children sing with the Bishop, the Spirit penetrated my heart. Heavenly Father wants to hear from me. I am his daughter. For those of you familiar with the song A Child’s Prayer you know it is split into two parts. The most common arrangement of the song that I have seen is for girls to sing the first part and the boys to sing the second and then the parts are sung together simultaneously. As he sang, “Pray, He is there,” I felt the answer directly to me. I felt as if the Bishop was my personal messenger for my Father who wants me to stop ignoring Him in the hall. “You are his child. His love now surrounds you. 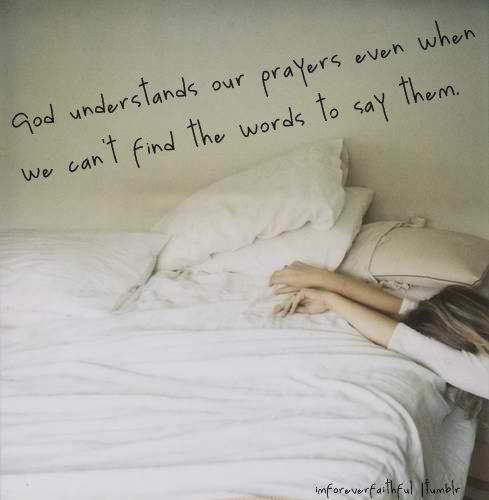 He hears your prayer. He loves the children.” I could not continue singing with the children as the spiritual feelings I was feeling were so strong that I just couldn’t contain my emotion. I knew my Heavenly Father wanted to hear from my more formally, but I also knew without a doubt that I am His child and that He is always listening, no matter how slothful I have been about kneeling down. He loves me as His child, just as He does all the little children in the room with me today and the rest of his children throughout His world. It was a beautiful day to be a primary teacher. Here are some fun versions of the song I just found on youtube, or you can hit the above link to hear the song in its pure form. Posted in InLoveBlog, Music, Pins and tagged prayer on August 26, 2013 by alicewgold.